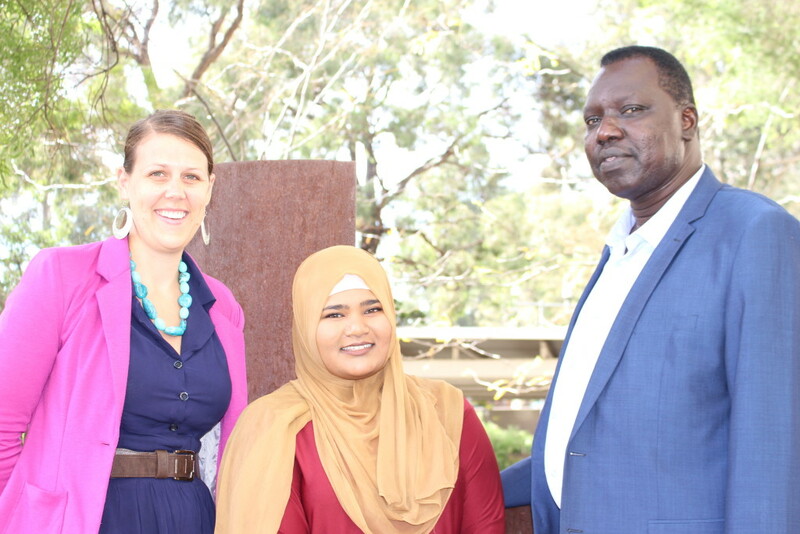 Community Learning Champions in inner Melbourne’s culturally and ethnically diverse neighbourhoods support and encourage friends, neighbours and peers to take up quality learning and employment opportunities. The idea for a peer support program to encourage lifelong learning came about because of unscrupulous marketing practices by private Registered Training Organisations (RTOs) and resulting community disenchantment, Tara Willersdorf, Community Programs & Marketing Coordinator at North Melbourne Language and Learning (NMLL) says. ‘A lot of RTOs were popping up and local people were being signed up for courses that they didn’t have the English language and literacy skills for, so many were left with a piece of paper but no job prospects. That led to a lot of disappointment in the community. ‘We wanted to provide the community with information on how to choose a reputable RTO and how to identify pathways so they could make informed choices about their education. Inspired by UK peer education models, NMLL selected and trained 10 Community Learning Champions in December 2013 who were given ongoing support and mentoring during an 8-month pilot. ‘The work Champions do with communities includes providing information about good quality courses to working one-on-one with people to help them identify their interests, priorities and long-term barriers to learning or work. ‘They are often talking to people with negative experiences of learning or who regard themselves as too old, or who say “learning’s not for me”. Tara says that in selecting Champions, NMLL looked for people with an interest in and love of learning. The Festival included activities for kids, music, healthy cooking demonstrations, soccer clinic, legal information and adult learning taster sessions. Tara says the pilot was very successful not just for the community but also for the people who had volunteered to be Champions. The successful pilot saw the CLC program funded from Helen MacPherson Smith Trust for a further three years and extended to run both at NMLL and Carlton Neighbourhood Learning Centres. Last year, the Centres recruited and trained 17 Community Learning Champions who spoke 11 different languages and engaged over 175 community members. That program is really making a difference, Tara says, particularly when it comes to choosing a reputable RTO. Champions use the ‘Choosing an RTO checklist’ to help people who are thinking about enrolling in a course to identify what’s important to them, to ask the right questions, to visit the RTO and to make their own decision. ‘One of our Champions was talking to a woman interested in working in aged care who had a young child. She wanted somewhere local, where training hours were child-friendly and where she could get English as an Additional Language support. 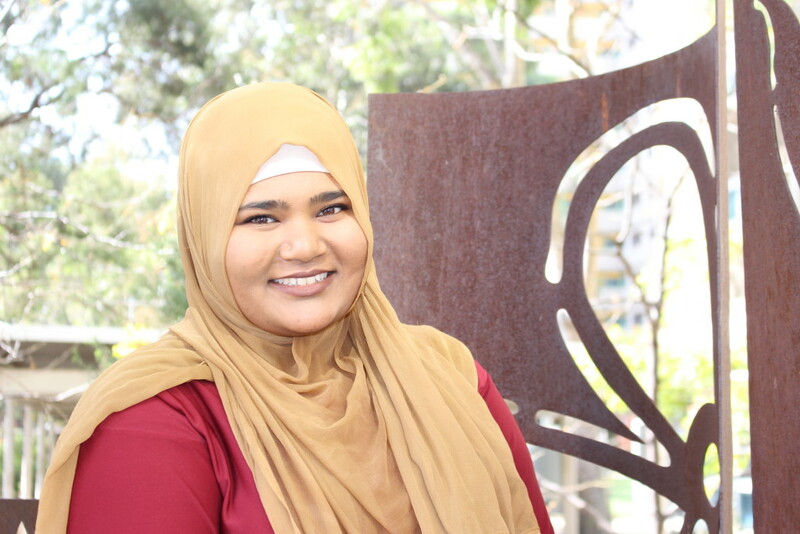 ELMA KHAN was selected and trained as a Community Learning Champion in February 2016. It was a trip back to Bangladesh with her mother that ignited Elma’s love of learning. ‘In Bangladesh I saw young children on the street working, which really shocked me. I found it amazing to see children who really had to struggle if they wanted to go to school. I volunteered to teach English at a local orphanage where the children didn’t speak any English. ‘It was while I was working there that I discovered learning doesn’t have to be teaching with a whiteboard, or structured, you learn in all sorts of different ways. As a teacher you learn from your students. For example, the children I taught knew so much about farming and agricultural life. I decided when I got back that I would do my Masters in Teaching and learn as much as I can. ‘I decided to volunteer as a Community Learning Champion because I wanted to share my love of learning with my community. Being a Champion I am learning and growing as a person. ‘In my community, I use different ways of promoting and connecting people up with information and learning opportunities. I use word of mouth, Facebook, all sorts of methods to invite people I know to come along to events that I think they will be interested in. ‘For people my age I let people know about lectures or talks related to things like mental health. For older people, I let them know about opportunities to learn more about what they’re interested in which is usually healthcare, nutrition and dealing with physical problems. 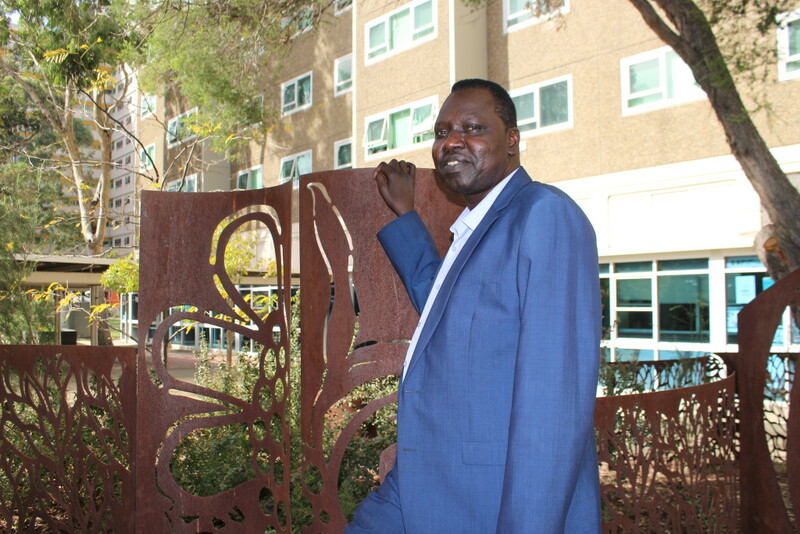 DUOT YONG volunteered to be a Community Learning Champion because he wanted to improve awareness in the South Sudanese community about the range of services and training to help people find good jobs. ‘Since I started in February I’ve connected two ladies up to one-to-one English classes. I’ve also referred people to our local council employment support officer who helps people apply for work. A woman I know had a problem with the law and I was able to refer her to the Community Legal Centre in Dandenong so now she is more confident with getting help. She’s also interested in being involved as a Community Learning Champion. Duot’s formal qualifications include a Bachelor and Masters Degree in Business and Project Management. ‘I noticed a big difference between studying in Africa and studying in Australia. At university in Africa when you’re given an essay topic you use your books and what you’ve been taught to write the essay. A big change for me studying in an Australian university was the amount of informal learning involved. When you get an essay topic you are expected to go away and do your own research. ‘Learning doesn’t just happen in a classroom. Whenever you encounter a new situation, experience a challenge or have an interaction with someone new you are learning. And it’s your approach and attitude that determines how much you learn.